Made-to-order item. Ships in one month (or less) after you make your purchase. Please email us for any enquiries. Have you dreamed of going around the world? This bag will definitely take you there. It is designed with utmost circular precision to fit your evening essentials. 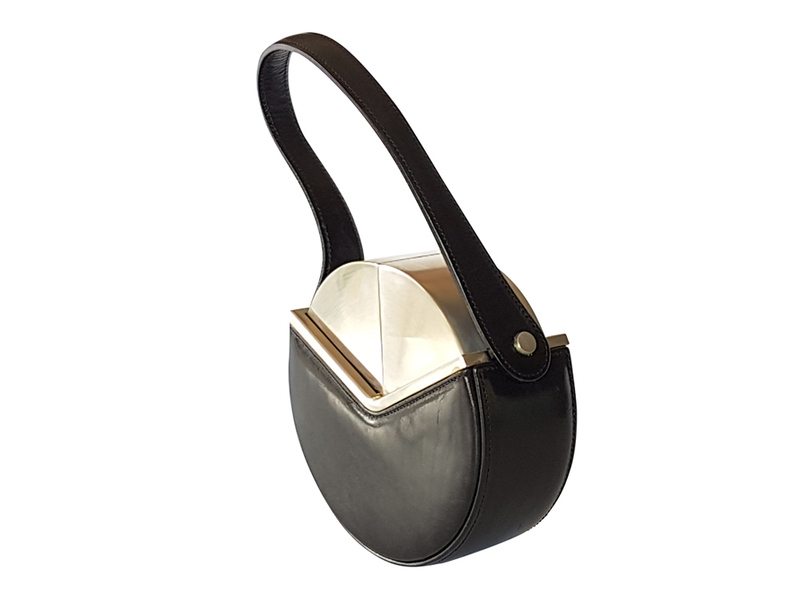 This miniature bag will make all heads turn. Inside: luxurious soft microfiber suede lining. Brushed nickel finish solid brass hardware.